Taken in late October, the green foliage of Populus rzedowskii contrasts against the browned leaves of surrounding native P. occidentalis. 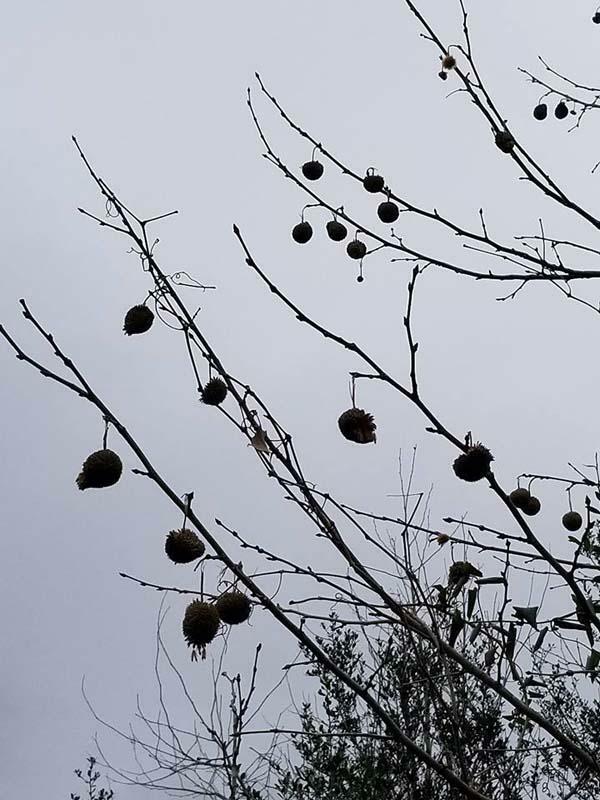 I recently learned that likely every Mexican sycamore in cultivation, widely known under the Latin name Platanus mexicana is actually a different species altogether – Platanus rzedowskii. I am now doubtful if the “true” P. mexicana is actually cultivated in the U.S. This incorrect naming is not due to a mistake, but to past taxonomic confusion among the Mexican sycamore species prior to more recent clarification. 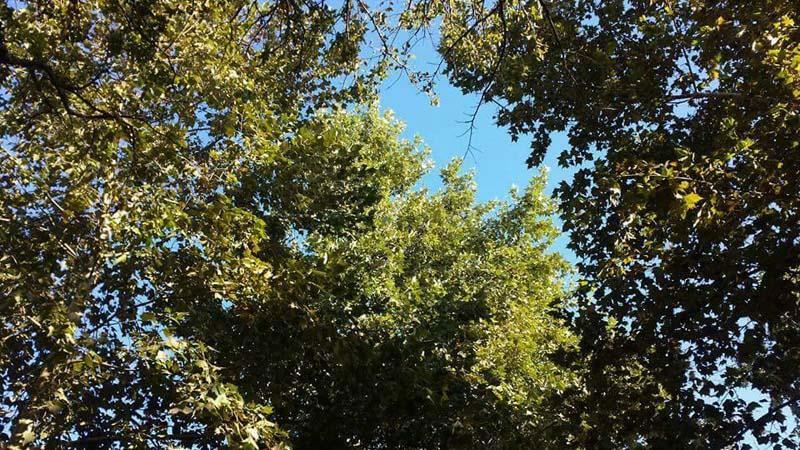 This started a year ago when plantsman and landscape designer Scott Ogden was telling me about the champion Mexican sycamore in San Antonio at Trinity University, which he referred to as P. rzedowskii. I knew there were other species of sycamores in Mexico, and Scott’s comment piqued my interest about “another” Mexican species in cultivation. That conversation diverted to another subject and I didn’t get a chance to discuss in more detail with him. 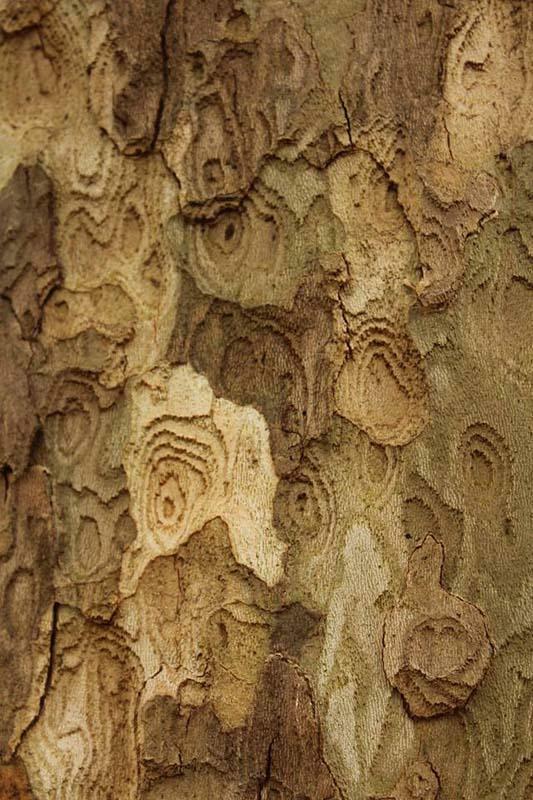 Flash forward a year, and I was talking with landscape designer Patrick Kirwin about a named cultivar of Mexican sycamore I had seen incorporated in one of his Austin area landscapes. He told me it was called ‘Alamo’, introduced by California’s Orange County Nursery as a selection from one of Scott Ogden’s wild seed collections from Mexico. Patrick relayed some additional information from Scott indicating that these, and everything in cultivation, were all P. rzedowskii. While researching to determine what features separate the two species, I found the clear answers in Kevin Nixon and Jackie Poole’s 2003 paper titled “Revision of the Mexican and Guatemalan species of Platanus ( Platanaceae).” Nixon and Poole note that sycamores in Tamaulipas and Nuevo Leon, although previously referred to in horticulture as P. mexicana, were quite different from those matching the original description of the species, which is found farther south from Hildago and Veracruz all the way down to Guatemala. Therefore, they gave the name P. rzedowskii to this form from northeast Mexico in honor of prominent Mexican botanist Jerzy Rzedowski. True P. mexicana has the round fruits held in clusters of 3 or more and trilobed leaves with untoothed margins, while P. rzedowskii has solitary fruits like our native P. occidentalis, and the leaves are 5-lobed with jagged marginal teeth. All material in cultivation seems to originate from Nuevo Leon or Tamaulipas, and otherwise matches perfectly the description of P. rzedowskii. 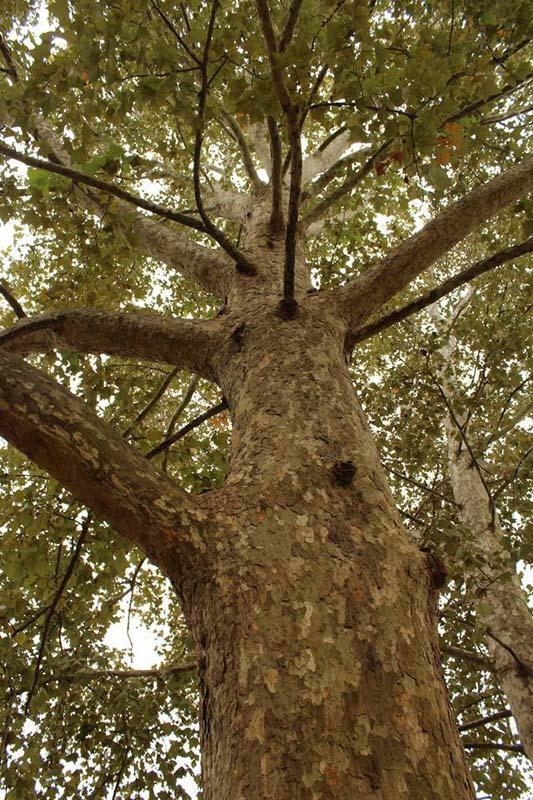 Regardless of the name, this sycamore is an example of a tree superior to our Texas counterpart. While our native P. occidentalisnaturally thrives here, it looks quite ugly by late summer with patchy or browned leaves due to a number of diseases and insects. In stark contrast, the Mexican sycamore remains a clean dark green well into fall. Adding to the appeal is the startling contrast of the silvery white undersides of the leaves. Unfortunately, many nurseries propagate this plant from open-pollinated seed from cultivated trees, which almost always yields hybrids with P. occidentalis that tend to be quite inferior in appearance and disease resistance, which Patrick referred to as “Tex-Mex sycamores”. Mid-summer cuttings root very easily and therefore more nurseries could only offer pure P. rzedowskii propagated from superior trees.